North Shore Dish » Peabody Bread and Baking Co. Both days this weekend at Russell Orchards in Ipswich there will be strawberry picking, hayrides, strawberry shortcake, facepainting, music, balloons at their annual strawberry festival. face painting, and hay rides. 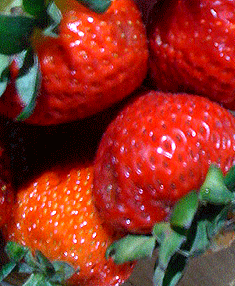 The following weekend, the Swampscott Strawberry Festival is being held on Sunday the 27th from 5:00 pm to 7:00 pm on Town Hall lawn. If you’re looking for a farmers market to visit or more information about your local market, there is information at the Federation of Mass Farmers Markets and a list of Northeast farmer’s markets here. You can find our list of North Shore farmer’s markets is here, with links on several that we’ve reviewed. Mary Reilly of The Savory Kitchen has a great idea for those pea tendrils in your CSA box. She’s cooking her way through her CSA share each week and sharing her recipes and non-recipe recipes. Mary also teaches cooking classes at the gorgeous Jewett Farms Studio, and there are slots left in the July 23 class on Indian cooking at home (6:00 pm to 9:00 pm), the July 31 canning class (1:00 pm to 4:00 pm), and the August 13 cooking from the farmers’ market class (6:00 pm to 9:00 pm). For descriptions, go here; classes are $90. If you’ve got a youngster that likes to cook, you may want to take a look at Shubie’s Tweens and Teens summer classes. They’re for ages 11 to 15 with Chef Laura Tyrrell. Pies and tarts is July 6, fresh pasta is July 13, cakes and frostings is July 20, and garlic bread, monkey bread, and bagels is July 27. All classes are $50 and run from 4:30 pm to 7:00 pm. If you sign up for all four classes, you get $30 off. Call (781) 631-0149 for more information. The PEM is hosting a beer and chocolate tasting in conjunction with its Mayan exhibit on July 8 from 7:30 pm to 9:30 pm. Maya inspired cuisine will be served, and attendees will sample seven unique beers and Taza’s stone ground organic chocolate. More information is here, and the cost is $75 for members and $85 for nonmembers. Euphoria Lifestyle has opened in the 100 building in Cummings Center, Beverly, serving smoothies and wraps and promising Pinkberry-style fro-yo in about two weeks. We’ll check it out and let you know how it is (tough job, but someone’s got to do it). For future reference, it’s right near Danvers Bank and does not have an outside sign. In Peabody, we’ve spotted a few restaurant happenings. 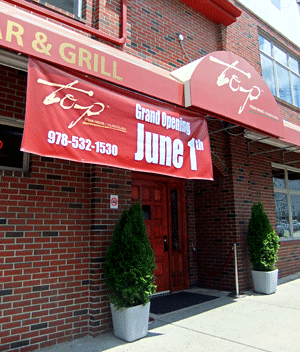 On June 1, Top Steakhouse opened in the former O’Fado space at 72 Walnut St. Since this Brazillian style steakhouse will be competition for the popular Fire Bull, we’re wondering if the area can support two churrascarias just a few blocks from each other. We also saw a banner up for Maki Sushi Bar, going in next to Peabody Estate Buyers on Main St. They are in the midst of fitting up the interior, no word on when they will open. Also on Main (toward the Salem line), we saw a banner for Peabody Bread and Baking Co. where Rosie’s Bakery was. We’ll stop in the next chance we get. And last but not least, a recent Guy Fieri trip (he’s a Food Network celebrity chef) included visits to our own Lobster Shanty in Salem, Rino’s Place in East Boston, Greek Corner Restaurant in Cambridge, plus a few Maine locations. Pictures are here. Can’t wait to see the Shanty episode of Diners, Drive-Ins and Dives, air date and time still to be determined.